When purchasing a diamond, the general rule of thumb is to buy a diamond with the least amount of color as your budget allows. Diamonds are divided into 5 general categories, or diamond color grades, ranging from “Colorless” to “Light Yellow”. Each category is made up of a series of color grades, represented by a lettering system from D to Z. The letter represents the amount of color present in each diamond when graded by a gemologist. Diamonds in the colorless range are the most valuable as they are the most rare in nature. Diamonds with D/E color are completely colorless whereas F color diamonds show a minute trace of color, detectable only to a trained gemologist. To an average person, an F color diamond will look identical to a D color diamond. Like their counterpart, Near Colorless (or “face white”) diamonds appear colorless when viewed from the table (face up position). It is only when viewed from the pavilion (face down position) do these diamonds show a slight amount of color against a white background. The slight tint of color is masked by the brilliance when viewed through the table. 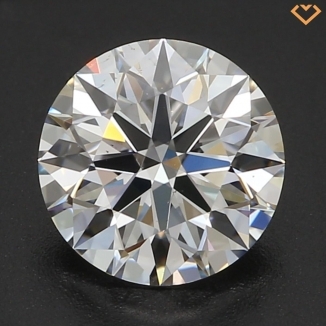 As diamonds are mounted placed in a setting face up, to an untrained eye, a near colorless diamond will appear identical to a colorless diamond. Near colorless diamonds offer superb value for your money. These photos of real diamonds from Brian Gavin’s Signature Line illustrate each colour grade. Notice that the colourless and near colourless range appears identical (when when enlarged). This insight is the key to saving money. Clicking on any image will bring up the actual stone with available 360 view. The high end of the colour scale with diamonds exhibiting a clear, sometimes icy look with no absolutely no warmth. Diamonds at this end of the colour scale cost the most. This is the range we recommend shoppers buy from. The difference between colour and colourless is imperceivable to the average person yet the cost savings can be substantial. The E and H colour diamonds appear the whitest despite being several color grades apart. This distortion is due to variance in photography lighting (as seen in the darker backdrop as well). This being said, as long as you are buying in the colourless or higher end of near colourless, your final diamond appear bright and free of colour. As with all diamonds, the rarer the diamonds the higher the price that can be commanded for it. The same applies for diamond color. A diamond color grade of D is only awarded to rare, totally colorless diamonds. 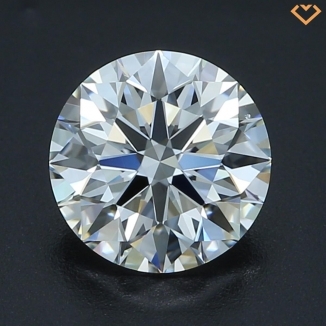 As such, the price of a diamond will be greatly influenced by the color grade with colorless diamonds being more expensive then light yellow diamonds. When purchasing a diamond, take note that many online retailers who hold themselves to a higher standard only carry “Colorless” or “Near Colorless” diamonds. Diamonds are graded for color face down, against a white background. Graders are looking at the actual body tone (hue) of the stone and comparing it to a set of master stones graded by the Gemological Institute of America (GIA). The diamond is then assigned a letter grade as seen on the accompanying chart. The GIA grades color alphabetically from D (totally colorless) to Z (yellow). Because the D-Z scale is continuous, the difference between grades is very small. 14K yellow gold ladies ring with a row of 5 channel settings across the top . 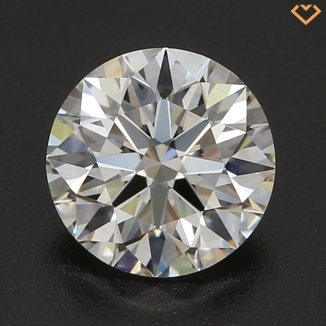 Each setting contains one round brilliant diamond. 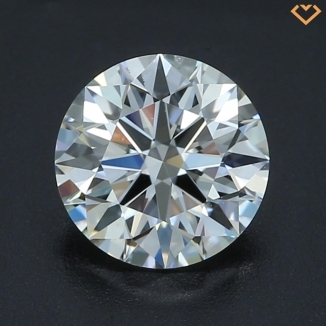 Two diamonds measure 3.25 mm in diameter and weigh approximately 0.15cts each , and three diamonds measure from 3.75mm to 3.96mm in diameter and weigh approximately .22cts . The clarity grade of the diamonds is 11 with a color grade of H . The total weight of the ring is 4.3 grams . Can you give me your opinion on this please? they are asking $3500 CDN. Style aside, this particular ring retails for $3,877 CDN. Given it’s about the same price point as yours, the one thing you’ll notice is that the clarity and colour are higher than yours. A clarity grade of I1 is lower than I’d recommend as you run the risk of large inclusions which negatively impact the light performance. Given the stones small size, you want to ensure good light return which helps the stone look larger (and move lively). One piece of advice I can offer, have a look at channel settings with more stones but the same total carat weight (i.e. 7 stones for 1 ctw). Because each stone is smaller, the overall price comes down without changing the total carat weight. Unfortunately I not familiar with Dynasty Jewelry mainly because there are so many players (online and retail) in this space. Because you’re in Texas, have you considered Whiteflash? They are out in Sugar Land (about 30 miles from Dynastry) and are one of the big online retailers we usually send our readers to (the others being James Allen, and Brian Gavin). In terms of buying a stone, the most important thing is the cut. Never skimp out on cut. 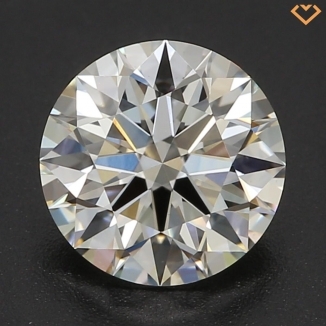 With a limited budget (for a 1 carat), you can play around with the colour, and clarity but never the cut as a poorly cut stone can actually appear smaller than a similar stone of same carat weight. (1) What color gold do you have in mind? Yellow gold or white gold? (2) Do you have a type of setting in mind? This gives me an ideal of the prong positions (helpful when trying to hide an inclusion and maximize budget). I find Blue Nile very interesting site and I would appreciate a feedback from your side concerning a present that I have bought. I have purchased a present ring together with a friend for his girlfriend and we’ve got from the seller a certificate ( not international) of GH color, VS clarity, .22 ct. The models is nice and very fine worked, but seems that the diamond has a small dark area that can be seen by naked eye, on a side. The question is : can this diamond be VS clarity, under this circumstances ?! I have doubts, according with the info that I found here.. The first thing that raises doubts is the fact that you’ve described the diamond as having a color range. At VS clarity, it’s unlikely that there should be dark area (I’m assuming you’re referring to an inclusion). If you could share the certificate, that would help pin point things. Im very curious about the value of my diamond ring I purchased for my wife it is .58 carats it’s clarity as “I”near colorless and it’s 14 karat white gold. 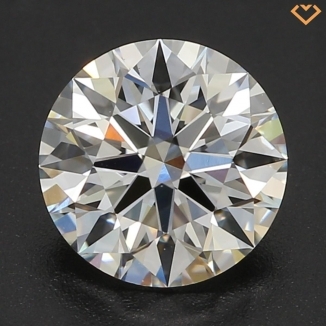 I purchased this diamond for around $2400 and the seller told me the value would go up as the years pass, it’s been 3 years and am curious to know 1 if it was a good deal in the first place and 2 if the value has increased in the past 3 years? Do you have a diamond certificate? There are a lot of details that influence the value of a diamond and a cert is the best way for me to provide you some feedback. The cert would have information such as cut, diamond proportions, symmetry, exact color, etc. Without this information, I wouldn’t be able to give you any insight. On a separate note, I’d caution thinking about a diamond as an investment. The reason for this line of thinking is that investments typically have a life span. You buy, you wait, and then you cash out. Unless you plan on selling the diamond then it’s not really an investment. Also, SHOULD you sell the diamond, you would have a hard time actually getting the full value of it. Think of it as a new product on eBay. You know it’s worth $100 new, but would never actually pay $100 for it on eBay. Just some food for thought!